Which Hogwarts House were you in? What area of magic could you improve in? What detention would you assign a trouble making student? How did you do on your OWLs? Why should Dumbledore hire you? You're Professor McGonagall! You're firm, and you're not one to be intimidated or back down from a challenge. You pride yourself on your talents, but you're even prouder of the talents you help others discover. Some people find you cold at first, but you care deeply and fiercely about those you love. 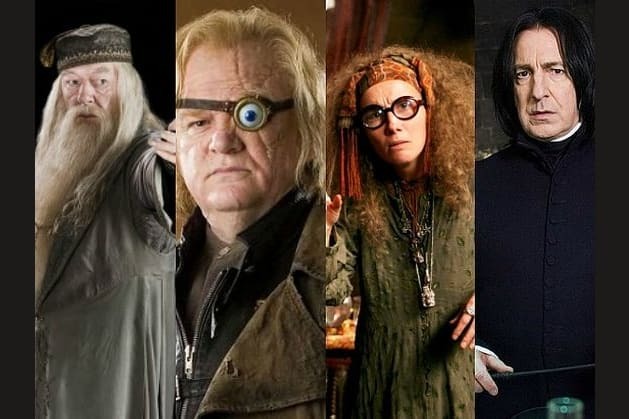 Which Hogwarts professor is your favorite? Would you like to work as a professor, or is teaching hoards of children a nightmare to you? Tell us about it in the comments below, and don't forget to share this quiz with a fellow Potterhead! Brooding and clever, you're Professor Snape! You don't tend to trust people easily, but then again, they don't easily trust you. You prefer to spend a lot of your time alone, enjoying a good book or working on a project. You desperately wish you had more free time, and you're not totally sure about your career choices. Absentminded and dramatic, you're Professor Trelawney! You're actually very talented, but you're totally inconsistent, so some people think you're a fraud. You can be very flighty and disorganized, but your heart is usually in the right place. You're passionate and love what you do! Loyal and practical, you're Hagrid! You totally dedicate yourself to the people you love, and you're definitely a fighter. People often misunderstand you, and they think your hobbies are super weird, but you're incredibly warm and supportive, even if you can be narrow minded at times. Are you a McGonagall, or a Snape? A Madame Hooch, or a Professor Sprout? Answer these eight interview questions from Dumbledore, and we'll tell you which of Hogwarts' esteemed instructors you really are!